Mount Kilimanjaro is the crown of Tanzania. 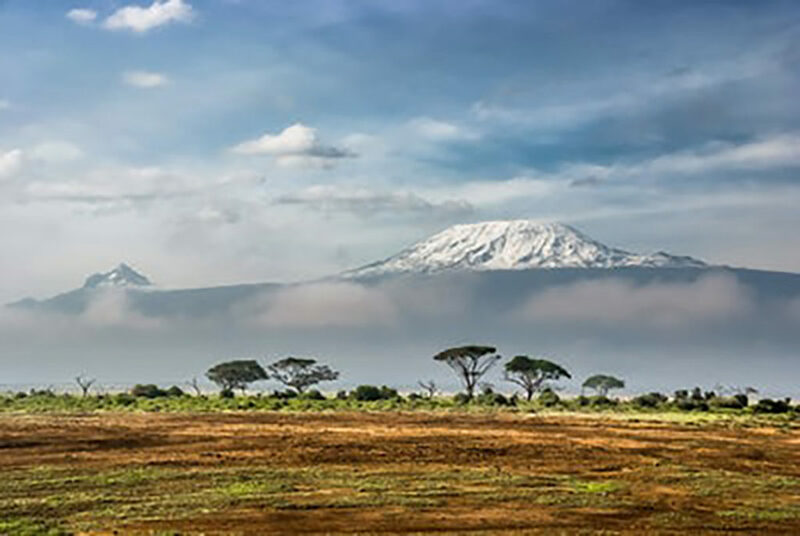 The view of this majestic mountain’s gigantic snow-capped summit dome, rising high above the surrounding savanna is one of Africa’s classic images . At 5895 meters (19,340 ft), Kilimanjaro is the highest mountain in Africa, and one of the highest volcanoes in the world, attracting trekkers and climbers from every corner of the world. The attraction is even greater because with time and adequate preparation, it is possible to walk all the way to the summit without technical mountaineering equipment or experience. The Kilimanjaro massif has two main peak areas: Kibo, the flat topped dome at the center of the Massif, and Mawenzi a group of jagged points and pinnacles on the eastern side. The top of Kibo dips inwards to form a crater which cannot be seen from below. Although Mount Kilimanjaro lies just three degrees south of the equator, Kibo has a permanent cap of snow and ice. The highest point on Kibo and the whole Kilimanjaro massif is Uhuru Peak. Also on Kibo is the slightly lower peak of Gillman’s Point, both are goals for most trekkers. The peaks of Mawenzi are for mountaineers only. Kilimanjaro has been designated as a national park by the government of Tanzania. 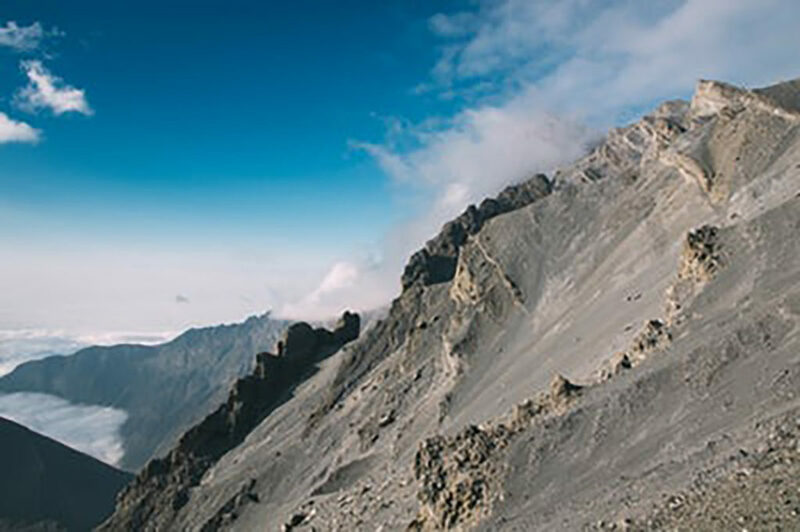 Most climbers reach the crater rim with little more than a walking stick, proper clothing and determination. And those who reach Uhuru Point, the actual summit, or Gillman’s Point on the lip of the crater, will have earned their climbing certificates. And their memories. But there is so much more to Kilimanjaro than her summit. The ascent of the slopes is a virtual climatic world tour, from the tropics to the arctic. Even before you cross the national park boundary (at the 2,700 m contour), the cultivated slopes give way to lush Montane forest, inhabited by elusive elephant, leopard, buffalo, the endangered Abbot’s “duiker”, and other small antelope and primates. The main trekking seasons on Kilimanjaro correspond with the mountain’s two dry seasons (an imprecise term, the weather being occasionally inclement during these periods too) namely January to mid-March and June to October. 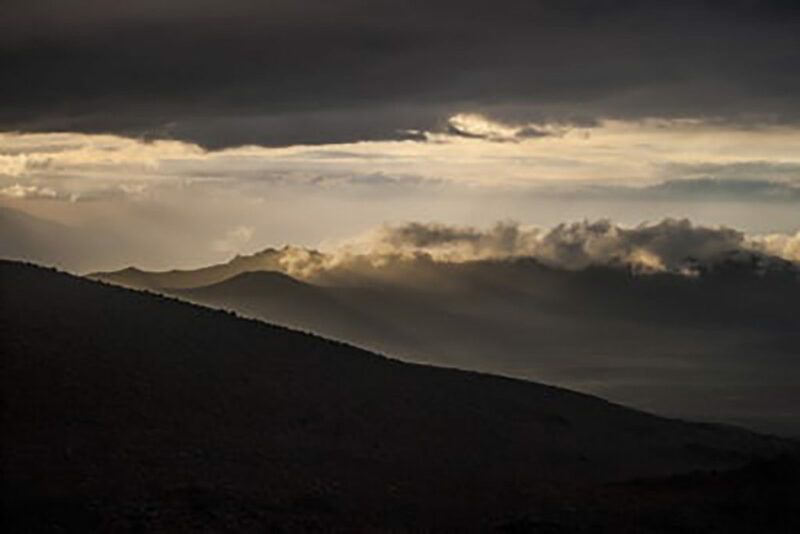 Of course you can trek up Kilimanjaro in the rainy season but not only is there a much higher chance of trekking in the rain, the summits of Kibo and Mawenzi are likely to be wreathed in thick cloud too. Indeed, several agencies even suspend their operations in November and December, deciding that any trek up Kilimanjaro is foolhardy at this time and the rewards for the trekkers considerably less. Curiously, however, Christmas and New Year, when the weather is far from perfect, are actually the most popular times for climbing Kilimanjaro. As to the relative merits of the two trekking seasons, the differences are small though significant. The January to March season tends to be (slightly) colder and there is a much greater chance of snow on the path at this time. The days, however, are often clearer, with only the occasional brief shower. It is usually an exceptionally beautiful time to climb and is often a little quieter than the other peak season of June to October, which coincides with the main academic holidays in Europe and the West. In this latter season the clouds tend to hang around the tree-line following the heavy rains of March to May. Once above this altitude, however, the skies are blue and brilliant and the chance of precipitation minimal (though still present). Although the June to October season tends to be busier, this is not necessarily a disadvantage. For example, if you are travelling independently to Tanzania but wish, for the sake of companionship or simply to cut down on costs, to join up with other travelers for your Kilimanjaro trek, then the high visitor numbers in the June-October peak season will give you the best chance of doing this.